Accent Lighting: Lighting layer that highlights or builds emphasis, also known as key lighting. Achromatic: Free of color, without color, colorless. Achromatic Simultaneous Contrast: Simultaneous contrast occurring between white, black, and gray. Additive Color: The process of mixing the colors of light. Afterimage: Visual illusion in which retinal impressions persist after the removal of a stimulus, believed to be caused by the continued activation of the visual system. Ambient Lighting: Meaning to go around. Main layer of light, also known as general or safety lighting. Analogous: Three to six adjacent colors on the color wheel. Artificial Light: Also known as Electric Light, it includes different types of lamps and light bulbs. Balance: Achieving color or design stability or harmony. Carried Color: Colors in an image or design laid on a background. Chroma: Another word for color or hue; the amount of saturation of a color. Chromagraphmia: The association of colors with numbers and letters. Chromatherapy: The use of color for healing purposes. Chromatic: Having color or pertaining to color. Color: An attribute of an object or substance with respect to light reflected by the object, usually determined visually by measurement of hue. Color and Aging: The yellowing of the lens and cornea over time, the pupil shrinks, and vision declines with age. Color Association of the United States (CAUS): Independent for-profit color forecasting and consulting service located in New York. Color Blindness: The inability to distinguish or separate color. Color Combination: General term used to describe two or more hue families that are combined. Color Forecasting: A service that provides manufacturers and vendors with information and guidance on upcoming consumer interest in certain colors and palettes. Color Marketing Group (CMG): Only globally recognized non-profit organization of color professionals who forecast color and design trends. Color Palette: Also called a Color Plan or Color Composition, is a planned arrangement or group of colors meant to be sensed as a whole set. Color Proportion: The relationship between colors in an image or design. Color Scheme: Descriptive term used to describe a combination of colors created for use in art and design, also relating to the color’s value and intensity. Color Temperature: The warmth or coolness of a color. Color Theory: The study of color, types of order, observations, scientific facts, and psychology to explain color reactions and interactions. Color Wheel: A circle of twelve pure hues in a diagrammatic form, based on the subtractive color system. 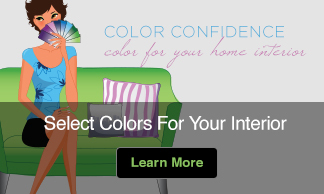 Also known as the Interior Designers Color Wheel. Complement: The color positioned directly across the wheel from any given color on the color wheel. Each color on the wheel has only one complement, also called Direct Complement. Cones: Cells in the retina that are sensitive to bright light and color. Contrast: Comparison of two or more colors in such a way that enables them to be differentiated. Contrast of Cool-Warm: The interaction of cool and warm hues. Contrast of Hue: The interaction of two or more different colors. Contrast of Value: The interaction of lightness or darkness. Complementary Contrast: The interaction of one set of complement colors. Contrast of Saturation: The interaction of one color and related tones of that color. 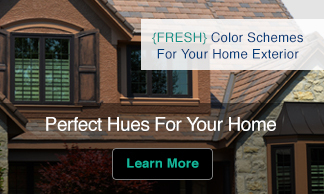 Cool Colors: Six colors starting with yellow-green & including violet that give a cool feeling. Decorative Lighting: Light fixture that is decorative in nature or design. Deutans: The color blind whose sensitivity to green is reduced. Diad: Combination of two colors that are two colors apart on the color wheel. Double Complement: Color combinations formed with two sets of complementary colors. Earth Tones: Colors found in nature. Most often thought of are brown and beige but the natural earth displays itself in an entire array of colors depending on the chemicals or minerals present. Fad: A short-lived micro-trend that is linked to an overall theme or trend. Forecasting: The educated prediction or calculation of future events or conditions. Form: A three-dimensional shape with volume. Florescent Lighting: Light produced from converting ultraviolet energy into visible light energy inside a glass tube lamp. Ground: The background color in a composition, also called the field color. Halogen: A type of incandescent lighting containing halogen gas. Harmony: A satisfying balance or unity of colors. Colors combinations that exist in harmony and are pleasing to the eye. Harmony, Objective: A color plan that works according to color principles. Harmony, Subjective: A color plan that simply pleases the viewer. Hue: The purest or brightest form of a color. Colors that have not been mixed with white or black. Incandescent Lighting: The traditional type of light bulb. The form of light produced by energy reaching a specific temperature, causing the filament inside the bulb to glow. Intensity: The brightness or degree of a color’s purity or saturation. International Color Authority (ICA): Private for-profit organization of color forecasting and consulting located in London. Lamp: Technical term for a light bulb. Light Emitting Diode (LED): A semiconductor diode that emits light when an electric current is applied in the forward direction of the device. Line: A continuous mark on a surface, which imparts motion and contour to images. Metamerism: A phenomenon that occurs when two objects appear to match in color under one light source, but not under another light source. Monochromatic: Relies on only one color family to create a design; uses a combination of tints, tones, and shades from the same family to achieve desired effect. Monotone: Color without variation. Describes two or more colors of close or identical value and saturation. Mood: The feeling a combination of colors and design elements convey to the viewer. Motif: A single image made of color mass. Neutral: Without a predominant hue; black, white and gray are true neutrals; achromatic colors; having no hue or chroma. Objective Color: The chemistry, physics, and physiology of color. Partitive Color: The process of mixing color relationships. Pattern: A motif repeated on a background. Primary Hues or Colors: Yellow, red and blue: the three colors from which, in theory, all other colors are derived. Proportion Temperature: The amount of warmth or coolness of a color. Protan: The color blind who confuses red and orange with yellow and green. Pure Color: Maximum saturation or intensity of color; not mixed with any other color. Recede: To seem to fade into the background. Relative Temperature: Subtle relationships of the warmth or coolness of a color. Retina: The light sensitive inner lining of the back of the eye. Rods: Cells in the retina that are sensitive to dim light, but not to color. Saturation: The intensity or purity of a hue; the color of the greatest purity are those in the spectrum. Words used to describe saturation are vivid, dull, brilliant, dark, deep, light, medium, pale, and weak. Secondary Hues: Orange, green, purple; the second set of colors made by combining two primary colors but the color’s complement. For example red-blue and red-yellow but not red-green. Scale: The concept of size relationships. Shade: Darker value of a pure hue, made by adding black. Shape: An image that conveys area. Simultaneous Contrast: The effect of colors upon each other; gray or black can shift toward the complement of the color with which they’re placed. Space: The distance, void, or interval between objects. Spatial Effect: The way to describe how colors are perceived in a space as advancing or receding. Spectrum: The full range of visible hues. Split Complement: One color paired with the two colors on either side of the original color’s direct complement, also known as Divided Complement. Subjective Color: The psychological, cultural, symbolic meanings of color. Subtractive Color: The process of mixing pigments together. Symbolism: Visual imagery to represent a message or concept. Synesthesia: A perceptual condition in which there is an involuntary blending of one or more senses. Tertiary Hues: The third set of colors on the color wheel, formed by combining adjacent primary and secondary hues. Sometimes called intermediate hues or colors. Tetrad: Combinations of four hues that are equal distance from one another, forming a square or rectangle on the color wheel. Texture: The surface quality and its relative roughness or smoothness. Texture may be actual or implied. Tint: Lighter value of a pure hue, made by adding white. Tone: A gray version of a hue, made by adding gray; gray quiets the color. Tritan: The color blind whose sensitivity to blue is reduced. Trend: A general course, direction, movement, or prevailing tendency. Triad: Combination of three hues that are equally spaced from one another around the color wheel forming a triangle. Value: The degree of lightness or darkness of a color. Visible Spectrum: The range of colors that can be perceived by the human eye. Warm Colors: Colors starting with yellow and continuing to red-violet on the color wheel, which convey warmth to a viewer. Wavelength: A measure of light.